Cockfight. Exciting dance from The Farm Australia and Dance Touring Partnership. – East Midlands Theatre. Straight from their critically acclaimed performances in Australia, The Farm, in association with Performing Lines & NORPA (Australia) and Dance Touring Partnership, presents the first UK tour of Cockfight, an exhilarating duet of extreme physical theatre that explores male behaviour and intergenerational conflicts. Touring this autumn, Cockfight opens at Laban Theatre in London on Tuesday 3 October, then heads to Chester, Canterbury, Poole, Doncaster, Oxford and Nottingham before concluding at DanceEast in Ipswich on Friday 27 October (full tour details included). We think dance is a young person’s game. What happens when someone higher up the food chain weakens and is ready to be taken down? Cockfight is a work for two performers – Gavin Webber and Joshua Thomson – developed by The Farm in partnership with guest artist Julian Louis; a powerful and dangerous physical performance (The Australian, said “… the work is physical theatre at its most extreme…”), the duet is woven around the lives of two men from different generations, trapped in an all too familiar and universal environment- the office. In Cockfight the two men exist side by side, share space, resources, time and responsibility and justify their existence in relation to each other. Their physical action is underpinned by a fierce co-dependency in a duet of slow-motion fight sequences, interlocking rolls and tackles and Buster Keaton-esque battles of supremacy. Cockfight is born out of a very real relationship between performers Joshua Thomson (33 years old) and Gavin Webber (50 years old). Thomson joined Webber at Dancenorth in Australia in 2005 and they have continued to work together ever since. 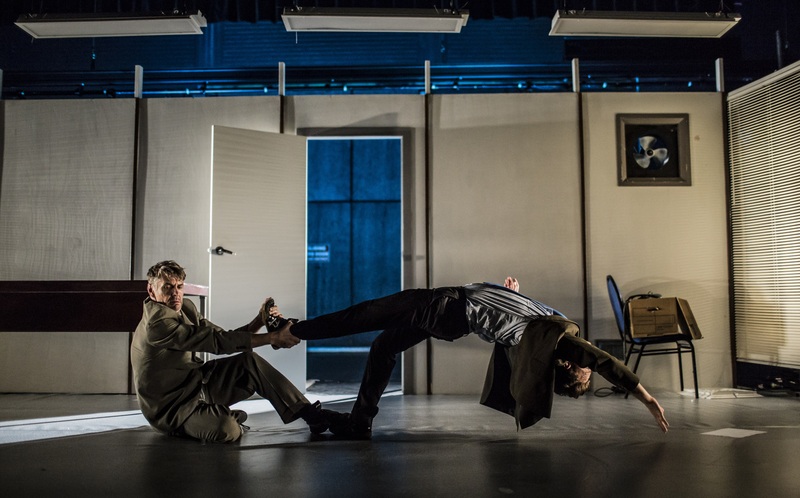 Their relationship has developed over the years, and these shifts in their shared physical and performance history are evident in the trust and danger of Cockfight’s choreographic language. Based in the Gold Coast, with roots in Berlin, The Farm is an international network of highly respected artists, ranging from choreographers and independent dancers to musicians and designers. 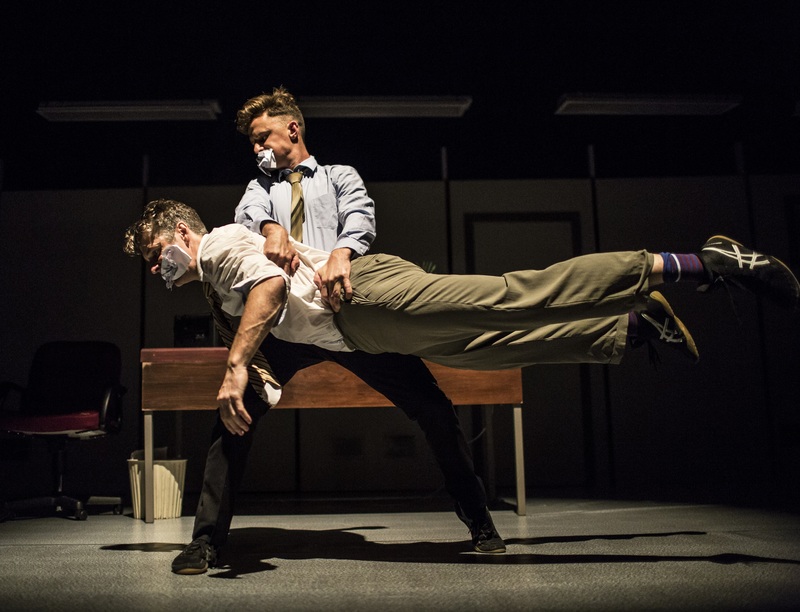 The artistic direction of the company is led by Gavin Webber and Grayson Millwood who have been making work together for the past fifteen years across four continents. Originally commissioned by NORPA and supported by Dancenorth, Townsville; the Centre for Contemporary Arts, Cairns (COCA); Arts Queensland and the Australia Council for the Arts, and toured by Performing Lines. The Farm is supported by the Gold Coast City Council. UK tour is funded by the National Lottery through Arts Council England. Based on the Gold Coast with roots in Berlin, The Farm is an international network of highly respected artists, ranging from choreographers and independent dancers to musicians and designers. 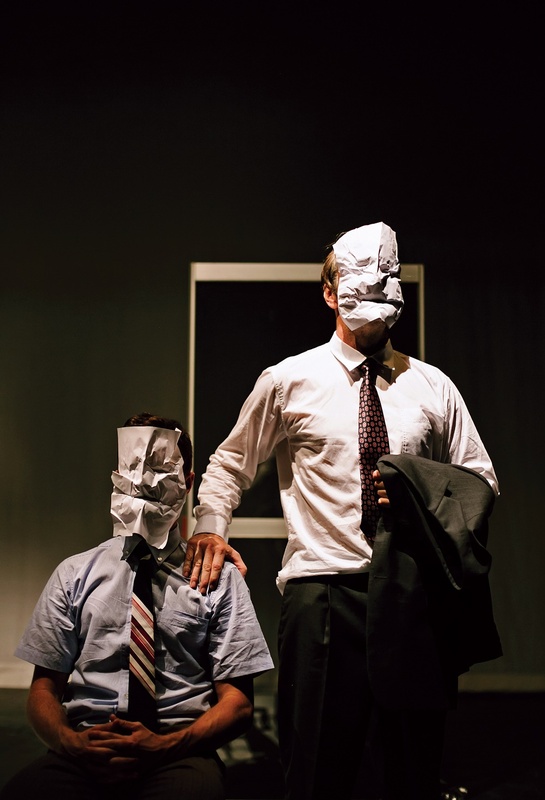 The artistic direction of the company is led by Gavin Webber and Grayson Millwood who have been making work together for the past fifteen years across four continents. The Farm works out of Queensland but retains and builds on its national and international pedigree and touring record. Touring highlights include, Venice Biennale, Tanzplattform (Germany), Barbican Theatre (London), Europe, Canada and Australia. Dance Touring Partnership (DTP) is a network of theatres working together to bring exciting and engaging dance to audiences around the UK. The network aims to build audiences for dance, increase the range and diversity of work available and encourage new attenders into dance. Since 2004 DTP has toured Ultima Vez, Australian Dance Theatre, Jasmin Vardimon, Renegade Theatre, Stan Won’t Dance, Theatre Rites, Fabulous Beast, Hofesh Shechter, Tanja Liedtke, Bounce Street Dance Company, Shaun Parker & Company, Blanca Li Dance Company and Mark Murphy’s V-TOL. DTP Member Venues: Brighton Dome; Cast, Doncaster; Grand Theatre, Blackpool; Gulbenkian, Canterbury; Hall for Cornwall, Truro; Lighthouse Poole; The Lowry, Salford; Northern Stage, Newcastle; Nottingham Playhouse; Oxford Playhouse; Warwick Arts Centre, Coventry. Guest Venues: Barbican, Laban, Sadler’s Wells and South Bank Centre, London; DanceEast Ipswich; Storyhouse, Chester; Edinburgh Festival Theatre; Macrobert Arts Centre, Stirling; G-Live, Guildford; Sherman Cymru, Cardiff.